Once seen as something of a luxury, websites have become an absolute necessity for any company or individual who wants to make an impact in the online sphere. And if you’re looking to launch your own website, you’re going to need more than just the tools to build it – you’ll need somewhere to put it, too. Fortunately, with the help of web hosting providers, you’ll be able to get your website live on the web easily and affordably. Whether you’re a seasoned veteran or a wide-eyed rookie, it’s worth remembering that getting a website on the internet takes more than just a budget and a keen eye for design. You also have to enlist a web hosting provider that can actually deliver your site to the internet’s many users. If you’re unsure about what web hosting is, how it works, or – all importantly – how much it costs, read on for our comprehensive guide to web hosting. Simply put, web hosting means storing all the data that makes up your website on a remote server location. After you design and build a site, it has to “live” somewhere for it to exist on the internet. That’s where web hosting comes in – after all, you wouldn’t buy a TV if you didn’t have a house to put it in, and you can’t launch a website without a server to host it on. While some website builders provide web hosting within their pricing plans (which we’ll talk about later), getting a standalone web server hosting provider has its own set of benefits. Depending on which type of hosting plan you get set up with, you can take advantage of everything from lower prices and improved speeds to easy scalability and secure servers. When it comes to the cost of these web hosting providers, you can expect to be billed on a monthly basis. Prices range widely from provider to provider and plan to plan, which means nailing down exactly what you need from a web hosting provider is essential to making the right decision. You can spend anywhere from $2 to $10 a month on simple shared or personal hosting plans, whereas heavy-duty business plans on dedicated servers can run you as much as a few hundred, or even a few thousand dollars a month. There are a number of helpful web hosting providers that will give you the technical support you need to launch your website without breaking the bank. 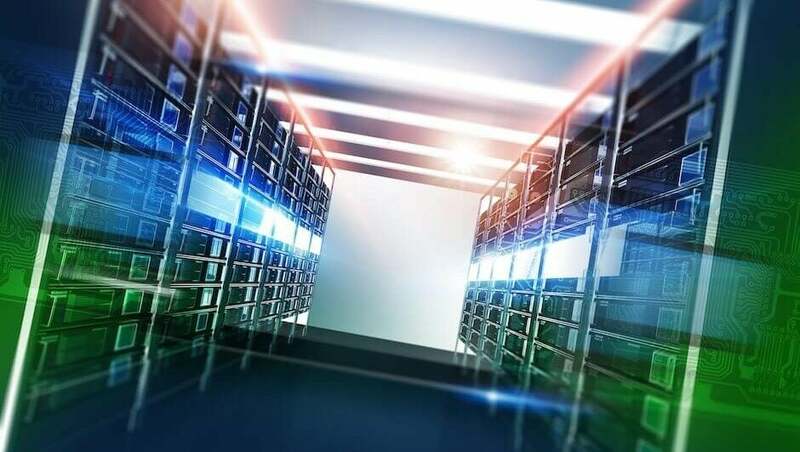 Take a look at a few of the best web hosting providers below, and read on for a basic comparison of some of their features and pricing plans. In addition to the variety of providers you can choose from, you’ll also find that each brand has a number of plans, offering everything from basic to enterprise-level hosting at different price points. Whether you’re a huge company that needs to manage increased traffic or a small business that’s simply trying to improve their online presence, one of these providers will have the features and cost you need to get the job done. WordPress hosting – plans that cater to WordPress designed sites. Some providers are designed specifically for this purpose. The key to understanding web hosting is to know what you’re using it for, and most people are using it for personal websites. If you aren’t expecting a huge amount of traffic or a life-or-death situation if a server goes down, it’s safe to say that a shared hosting plan will suffice for your particular needs. As the name suggests, shared hosting involves sharing a server with other websites. Just like with roommates, shared hosting allows you to cut costs by splitting the cost of the server among the other users. However, if the other sites take up too many online resources, you could end up with a slowed down site. Fortunately, most providers will manage this discrepancy – as long as you’ve got a good one. Take a look at this handy table to get a better idea of what you can expect from the major brands as far as a shared hosting plan is concerned. Choosing hosting for a personal website is one thing. But, if you’re looking to get your small business set up online, you’re going to need something a little more heavy-duty to manage your traffic. Small businesses are far more at risk if they’re affected by website outages than personal sites. This makes it all the more necessary to have a rock solid web hosting plan in place, and is why we recommend a VPS hosting plan to keep your website online. With VPS hosting, you’re still sharing a server with other websites, but you’re allotted your own specific area to function within. This means you won’t be entirely affected by what those other sites do, and you’ll have a bit more freedom when it comes to your website. Plus, you’ll be able to keep costs low when you want to increase storage or bandwidth, which makes VPS hosting great for small, growing businesses. For a better idea of what VPS hosting entails as far as brands, features, and price are concerned, check out this comprehensive table to get a better understanding of what you’re working with. While all this talk of servers may have already eased your uncertainties, another easy and affordable way to host your website is by doing so through a website builder. Not only will you be treated to unique features that make managing and designing your website easy, you’ll also enjoy some of the lowest website hosting prices you can find, without all the technical to-do. The cost of this option is so low because the price of building a website typically includes hosting within the plan. Sometimes you’ll have to pay to lock down your specific domain name – which is certainly an important aspect of the process – but you’ll still be paying less than if you were using a dedicated server. For a more comprehensive look at the cost of web hosting when using a website builder, take a look at this table explaining the price of Wix website builder across its many plans.